LSN announces the launch of the Focus on Cures Accelerator in Boston and will offer its first 2-week Immersion Course in the first quarter of 2019. The program is aimed at top life science companies from outside the US who are developing technologies in the four “Ds”—Drugs, Devices, Diagnostics and Digital Health—and are looking to connect with the global investor ecosystem as well as explore the leading Boston/Cambridge life science hub for future business development in the United States. The program will be absolutely unique because of LSN’s deep resources: investor and company data platforms that are unparalleled in the life sciences arena, the RESI conference series—laser-focused on early stage funding, Boston Innovation Capital investment banking experience and all of the contacts, connections and channel partners accumulated and curated over the years. A thorough understanding of the ten categories of early stage investors and partners including family offices, foundations, endowments, angel investors, venture capitalists, private equity, strategic pharma, corporate venture, government and hedge funds. All program services, office space, class room are included in the fee. FOC Accelerator charges no success fees and takes no equity in any of the participating companies. 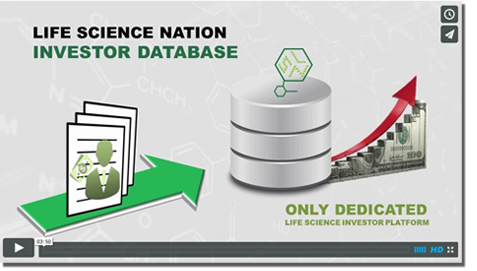 Because LSN’s RESI conference is a global partnering ecosystem built upon the two life science databases LSN offers, we know a lot of the major players across the silos of drugs, devices, diagnostics and digital health. Increased visibility because you will be given a list of investors and partners that are a fit for your company and product. All of FOC Accelerator companies will have access to our worldwide network. FOC can provide hands on support for setting up your company’s U.S. operations. Finding the right partners that are a fit for your stage of development and product set is key to your success. LSN has helped more than 375 companies raise over 500 million dollars. LSN products and services are used by all the core players who use LSN to source technology assets. LSN can provide a rapid entry into our world’s leading life science ecosystem and a chance to find the right partners to move your firm to the next level in the life sciences market. ← ANNOUNCEMENT: RESI GOES TO EUROPE IN 2019!